What's holding your house up? 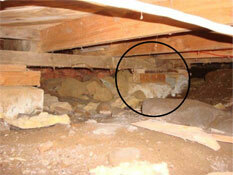 You may never see your crawl space or rarely visit your basement, so why does it matter? Answer — your foundation supports your house. 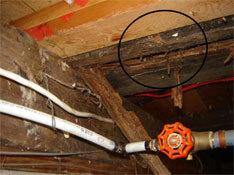 Contact us today for a FREE, no-obligation foundation repair estimate! Even if you don't think of your foundation as your first floor, your house does. Both the structure and the air quality of your crawl space or basement have an effect on the part of your home that you live in. 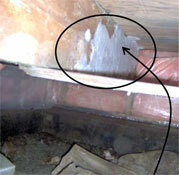 Rot, cracks, mould, water and pests can cause harmful damage and should be dealt with immediately. 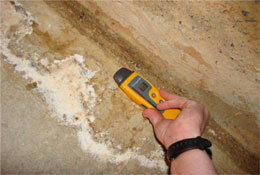 If you haven't checked lately, ask for one of our Homeowner's Checklists and take a look down there. Contact our company to day for a Free Estimate on foundation repair in Victoria, Nanaimo, Qualicum Beach, Langford, Campbell River, Duncan, Port Alberni, Squamish, Esquimalt, Courtenay, Comox, Central Saanich, Cobble Hill, Qualicum Beach, Parksville, Powell River, Sidney, North Sannich, Sooke and the surrounding Vancouver Island, BC area.